On some days of this trip our goal is to cover miles, not stop at every point of interest. We do have to get to our final destination this summer. . . 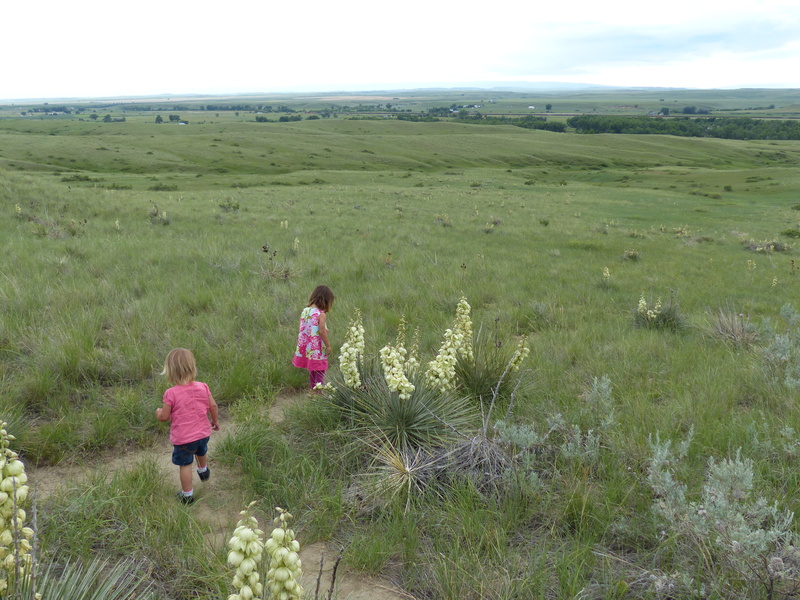 But we couldn’t pass up the National Historic Landmark at the Little Bighorn Battlefield. 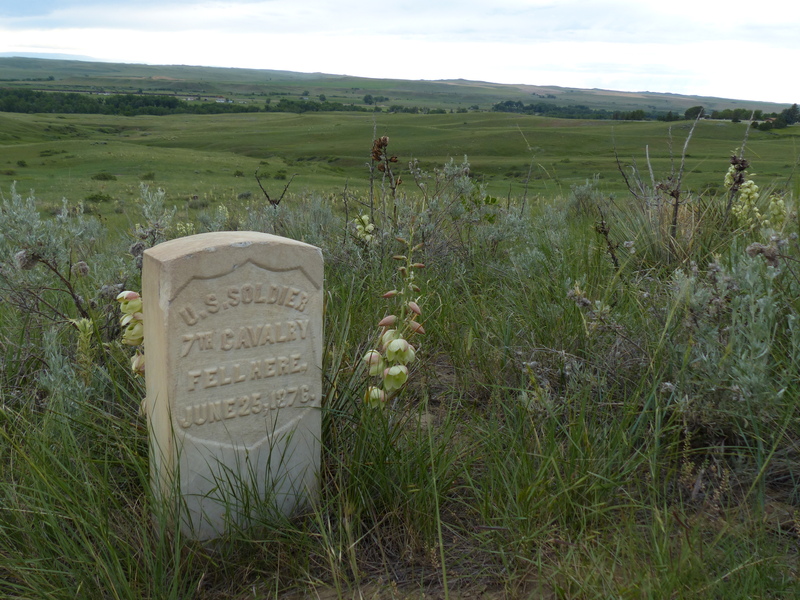 Americans are taught about the historic events that took place among the rolling hills of southern Montana from an early age. 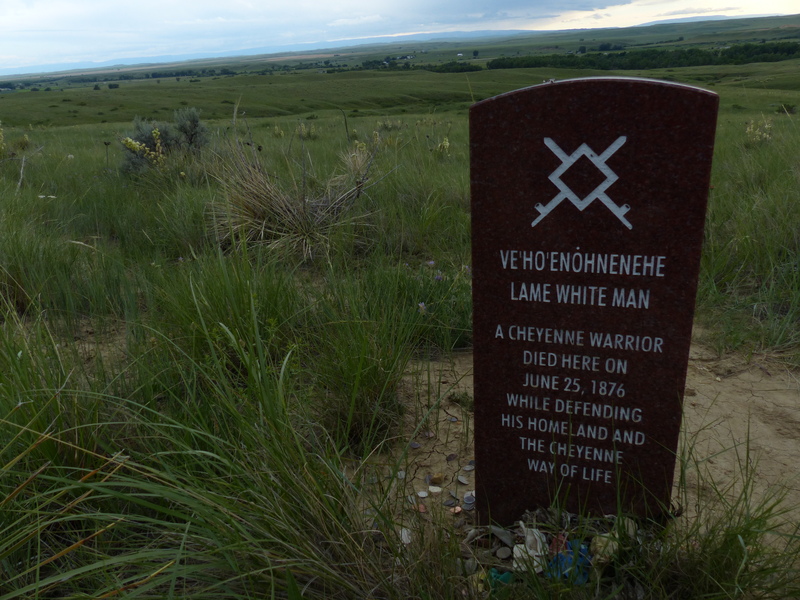 Lt Col Custer (not General Custer, contrary to popular folklore) and his regiment of U.S. government troops were killed by a coalition of Indian tribes who decided to stand their ground and not relocate to a reservation. That’s my one sentence effort at a straightforward, non-controversial statement of fact, but in truth the entire course of events and their interpretation is very controversial. What is not disputed is that hundreds were killed and bodies were strewn across the green hills. The locations where U.S. troops fell are marked by white gravestones. Newly placed stones now also mark the places where Indians fell. We walked the paths and read the boards recounting the historic details of the battle as the sun set on the summer solstice. 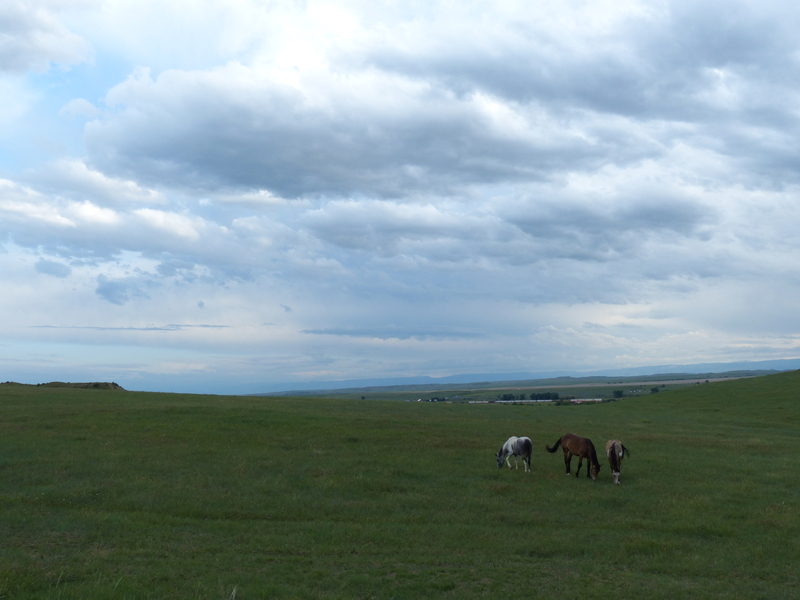 Horses roamed the once bloodied fields. Outside the entrance to the national landmark is a casino run by the Crow Nation (an Indian tribe), whose reservation encompasses the historic site. Cars from miles around were crammed onto the dirt parking lots and surrounding fields of scrub brush. A celebration of some sort was taking place among tents, reminiscent of a county fair. A roped off portion of the parking lot was reserved for the thirty or so Federal Police SUV’s keeping an eye on the festivities. And, to our great delight, a coffee hut with the beckoning word “Espresso” was right in the center of the lot. 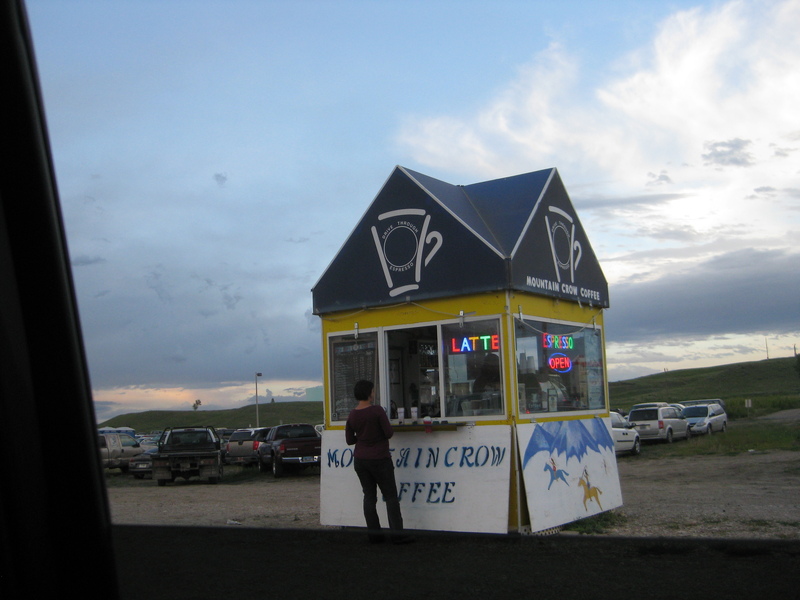 We parked in the lot with the myriad of other local families and fair-goers and I walked up to the window where a young Crow man and his wife were skillfully grinding and pressing some of the best coffee we’ve had on the trip. The La Pavoni machine in their Crow Mountain Coffee shack seemed out of place, looking out across the historic battlefield. It reminded me of the ancient, industrial Rancilio the old man in Morocco used to make us our cup of coffee in Fes. Around the world and even in our own country we’re surprised at the professionalism and skill people put into creating excellent coffee. And those cups of coffee enjoyed in unexpected places are some of our favorite memories. Thinking of Custer and Crazy Horse will always lead me to reminisce about that great cup of Crow-pressed coffee. Why does everything come back to coffee? 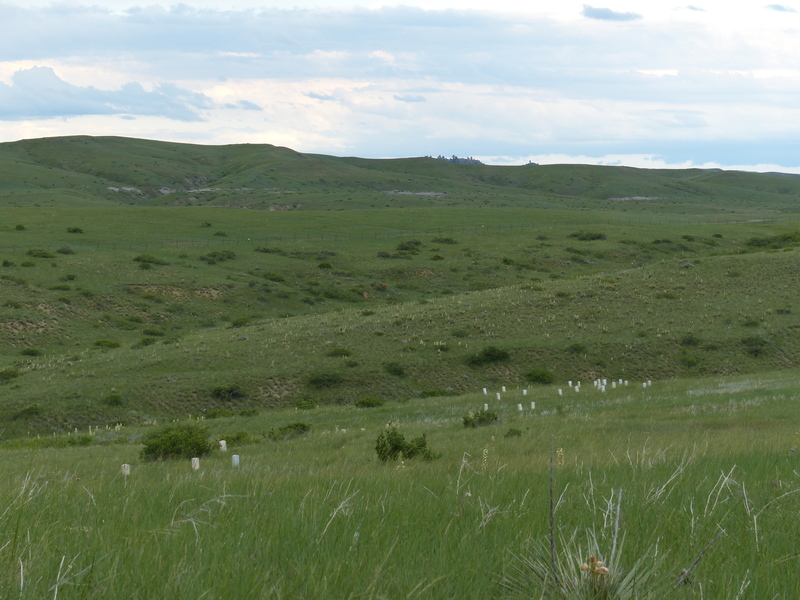 For information on the Little Bighorn Battlefield National Monument, check out the link on the National Park Service Website. If you want to read about that special cup of coffee in Fes, read this blog post from last year.